Looking at the following data set, would this distribution be normally distributed, skewed to the left, or skewed to the right? The data has two large outliers that are to high compare to the rest of the data. That means they fall far to the right of the distribution. This leads to a right tail for the data curve and that makes it skewed to the right. Jim counted the number of visitors he had each day for a period. The graph provided shows the amount of days that he got 1, 2, 3, 4, or 5 visitors. After looking at the data, what is the mode amount of visits? 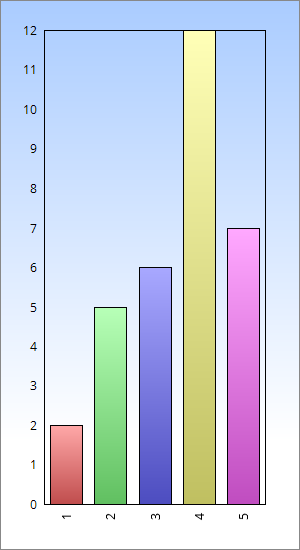 The mode of a bar chart is the bar that is the tallest since it is the one that occurs the most. In this data set, visitors is the mode since it occured a total of days and that is the most.